Brad Helder of Campbell, California, sent us these photos with the following message. 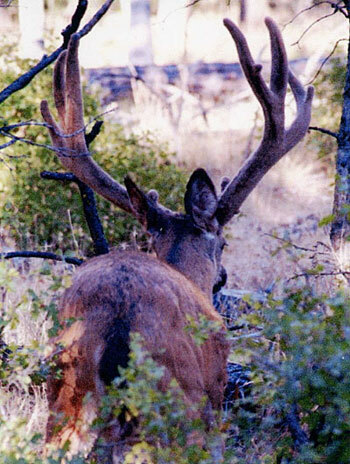 "Here are pictures of a record class B Zone blacktail buck taken a few years ago on opening day of the California bow season. 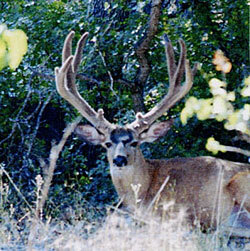 I am not a bowhunter and did not have a B Zone tag that year. I was ground squirrel shooting when I came across this buck. 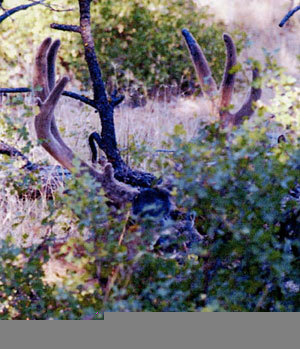 I was able to get within seven yards as the buck held tight in its bed. It finally trotted off after allowing me to 'shoot it' with my camera."